SOG – innovative Musik feiert der Welttag des Jazz -wie gewohnt mit einem ganz persönlichen Blick auf dem Genre. Obwohl ihre Ursprünge irgendwo im Jazz und Punk zu verorten sind, hat sich die Musik des Trios Kurws längst in experimentellere Bereiche bewegt. Die 2008 gegründete Breslauer Band, dekonstruiert mittels Gitarre, Schlagzeug und Bass vertraute Motive und liebgewonnene Hörgewohnheiten zu Geräuschen und Emotionen, um diese schließlich zu rauen, hypnotisierenden Gefügen zu verschmelzen. SOG – Innovative Music celebrates the International Jazz Day – as usual with a very personal view of the genre. Although their origins are to be found somewhere in jazz and punk, the music of Kurw’s trio has long moved into more experimental areas. The Breslauer Band, founded in 2008, deconstructed by means of guitar, drums and bass familiar motives and cherished listening habits to sounds and emotions, to finally merge these into rough, hypnotizing structures. Live recording of original music by the [email protected] DER KULTUREN “Little Big Band” Ensemble. The Big Bands of Gymnasium Neue Oberschule Braunschweig and Julius Spiegelberg Gymnasium Vechelde celebrate Jazz Day with a concert of Big Band music from Swing to Latin. Free admission. Donations welcome. German federal city state Bremen was lucky to be a part of the US-territory boosting a jazzy, liberal lifestyle after the infamous horror of the 3rd Reich. This event praises the spirit of freedom and generosity of GI culture. V.B. Schulze: narrator, e-bass; Klaus Fey: sax; Eckhard Petri: sax; Markus Markowski: guitar; Jens Schoewing: piano, keys; Guenther Spaeth: double bass; Buddy Taco: drums; Gerd Seemann: percussion. 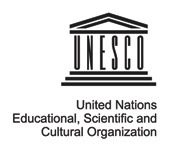 The non commercial initiative “jazz.grafing” is celebrating its 10th anniversary with a special concert – exactly on the International Jazz Day, organized by UNESCO every year on 30.04. to underline the importance of Jazz-Music in cultural life. Felix Sapotnik Quartet feat. Bob Degen (plus special guest: Jenny Evans) – Felix Sapotnik (all saxes), US pianist Bob Degen, Peter Bockius on double bass and Guido May on drums. Another highlight will be Jenny Evans, the English jazz singer. 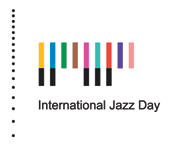 [#jazzdaynds] Jazz – an international art form, diverse, empowering and powerful. Niedersachsen – a northern German state, diverse, engaging and 8 million strong. For International Jazz Day we asked all jazz musicians to come to the streets and celebrate. We asked our venues and festivals to set up events. We asked our big bands to join in. On April, 30th Niedersachsen will celebrate Jazz. To create a memorable UNSECO Jazz Day, John Marcussen-Wulf composed a piece called “Dr. John’s Revenge” for a nationwide Flashmob. Many cities in Lower Saxony take part. Its written for various voices and instruments and can be downloaded under the sent link below. There’s also a recording, played by the composer and his big band called “Fette Hupe” from a concert they gave in March. Hartmut Hillmann Band is celebrating International Jazz Day at Antoniushaus Turm. Antoniushaus gGmbH in Hochheim is a nonprofit organisation for people with special needs in the German Rhine-Main-Area. El podcast “La Caja del Fósforo” hará una emisión especial para celebrar el Día Internacional del Jazz. Un programa producido y conducido por Fósforo Sequera. Der Podcast “La Caja del Fósforo” wird eine Sondersendung zur Feier des Internationalen Jazztages geben. Ein Programm, das von Fósforo Sequera produziert und geleitet wird. The podcast “La Caja del Fósforo” will make a special broadcast to celebrate the International Jazz Day. A program produced and conducted by Fósforo Sequera. We will participate in a public viewing of IJD on April 30. 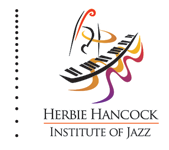 April 2 – Swing on Easter Monday – Les Searle and Heiner Wiberny 11 a.m.
April 5 – Jazz Session 8 p.m.
April 7 – Karolina Strassmeier & Drori Mondlak – KLARO 8 p.m.
April 15 – Julian & Roman Wasserfuhr 6 p.m.
April 20 – Jazz Night with André Nendzer, Philipp Sauer Quartett, Brasshoppers Big band 8 p.m.